Mates of State have been at this since 1997 — an eternity in music career terms, even more so when you consider how au courant their synthpop sound remains in 2015. 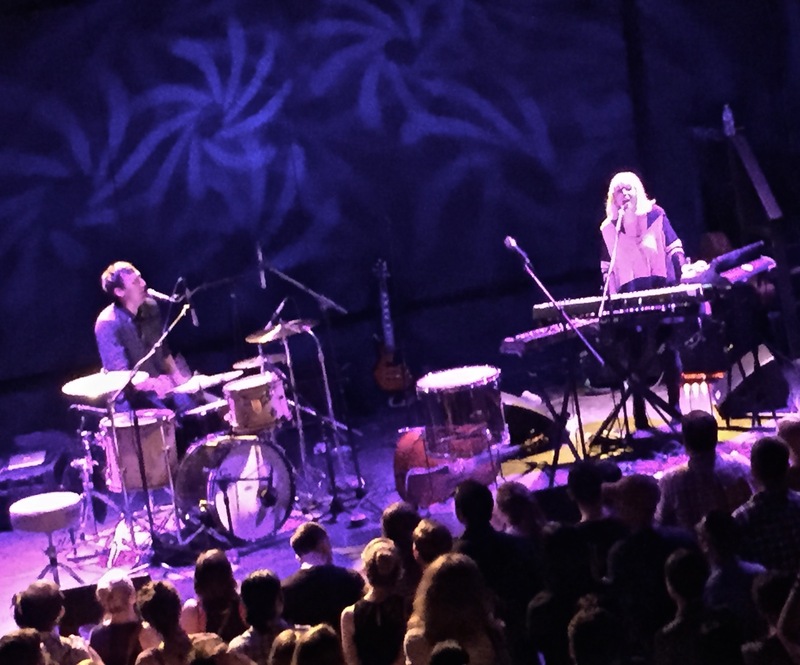 Kori Gardner and Jason Hammel being married themselves, it’s no surprise that they’re an inspiration to their fellow couples, who comprised most of this Friday-night crowd at Bowery Ballroom. The band’s euphoric sound made a good match for the summer night, as they sailed around their catalog. The set hit its stride about three songs in, with “Staring Contest” from the newly-released You’re Going to Make It EP. After that, things didn’t slow down as the pair demonstrated why they’ve remained relevant for this long. If this live show didn’t quite have the polish of their albums, where the dual-sung verses can be synced and tone-aligned after the fact, it burst with the natural exuberance of the style and setting. Gardner and Hammer didn’t take many pauses as they ripped off this 19-song, 77-minute set rapid fire. My favorite of the numbers was probably “Get Better” from 2008’s Re-Arrange Us. The tempered hope of its conclusion (“Everything’s gonna get lighter / even if it never gets better”) is good advice for anyone. I recorded this set with a soundboard feed from longtime Bowery engineer Kenny and Schoeps MK4V microphones. The sound quality is excellent. Enjoy! If you enjoyed this recording, PLEASE SUPPORT Mates of State, visit their website, and buy their records from Barsuk Records.